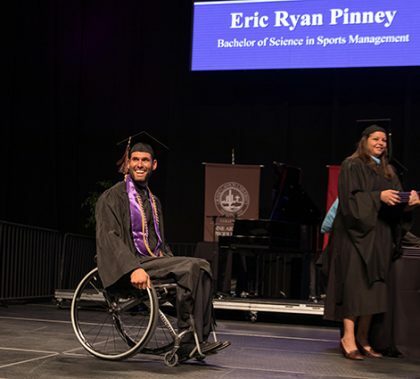 Ryan Pinney rolled his wheelchair onstage Saturday at spring commencement with the same force he has used to overcome the bicycling injury that paralyzed him. But the Air Force veteran is philosophical about getting his Sports Management degree and the other accomplishments he has achieved in his journey. GCU’s first Master of Divinity (M.Div.) graduates were front and center in the spring commencement ceremony Saturday morning. “This is a new day for GCU and a new day for Grand Canyon Theological Seminary,” said Dr. Jason Hiles, dean of the College of Theology. It also represents a new day for several grads who took interesting paths into the program. 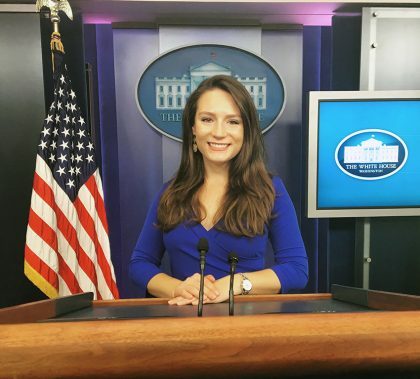 Online students have many amazing stories of overcoming obstacles to earn their degrees. Some of them make you wonder how they ever did it — until you talk with them and listen to their determination. 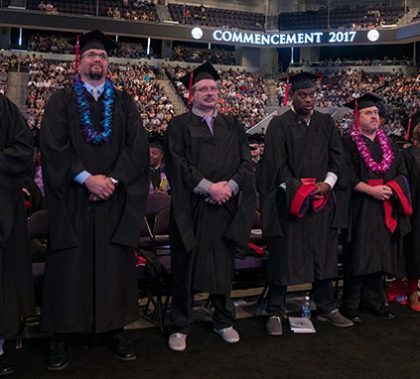 Andy Bevilacqua came to Grand Canyon University on Friday for the first time to receive his diploma from the College of Doctoral Studies, but that’s about the only thing in his story that makes him like a lot of other people. He’s the CEO for a company that tests and evaluates equipment and technology for the U.S. military and space program, and, oh by the way, he’s also 65 and fighting Parkinson’s disease. 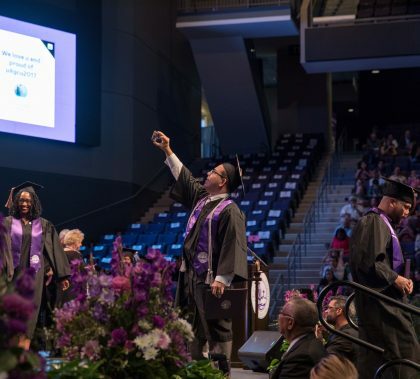 Photos by Slaven Gujic and Travis Neely GCU News Bureau Thousands of Grand Canyon University students on Thursday walked across the stage to pick up their diplomas on at two commencement ceremonies. The rite of passage represents both their final walk as students and the first walk as graduates. 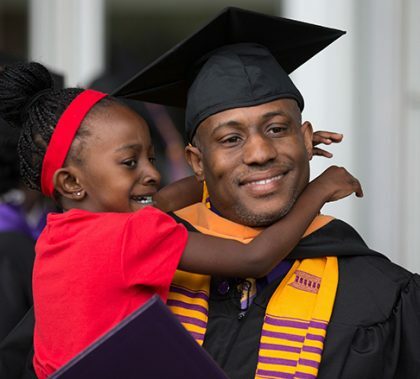 As noted by Dr. Tim Griffin, GCU’s pastor and dean of students, commencement is the culmination of an experience that students will not soon forget. “The rhythm of university life at GCU is just incredible,” he said. “You start the year with Move-In, which is a highlight to the collegiate experience, and you end with commencement. It’s an enormous celebration. In the normal rhythm of the school year, this is a great time, and it’s great to watch the families celebrate with their children or their moms or dads or whoever’s graduating. “It’s a very emotional time, and I’ve got a great seat for all of it, sitting on the platform watching people come up the stairs, getting ready to hear their name announced before they receive their diploma. It’s an incredible time.” There were 863 graduates and 5,198 attendees in Thursday’s morning session and 706 and 4,823 in the afternoon. This week’s edition of Antelope Intros features two University development counselors, one from Pennsylvania and the other from Alaska, who have a passion for the world around them — but in very different ways. 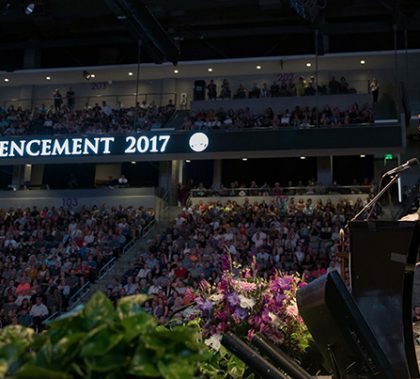 The graduates at Grand Canyon University’s traditional commencement ceremonies Thursday already were talking excitedly about being alumni. While many of them are eager to get out in the world and see what they can do, they treasure the memories they made while on campus. 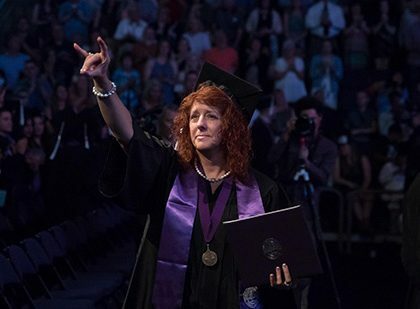 Cathy Hocking accepted a Bachelor of Arts in Communications degree Thursday at Grand Canyon University on behalf of her daughter, Karli Richardson, one of three people killed in a car accident April 14. Hocking believes that God has a plan and a purpose for taking the lives of her only children. “People are coming to know the Lord through them,” she said. 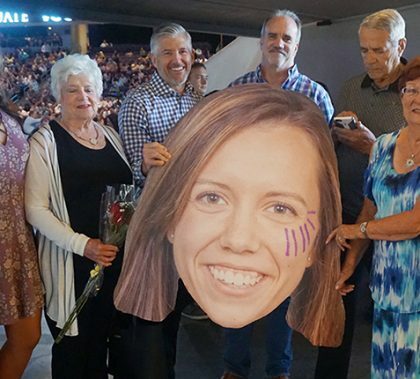 Spring commencement began Thursday morning with an emotional ceremony that honored Karli Richardson, one of the GCU students killed in an auto accident nearly two weeks earlier. “It’s a very emotional time, but this year, especially this particular service, many of us are reflecting on Karli’s death,” said Dr. Tim Griffin, GCU’s pastor and dean of students.